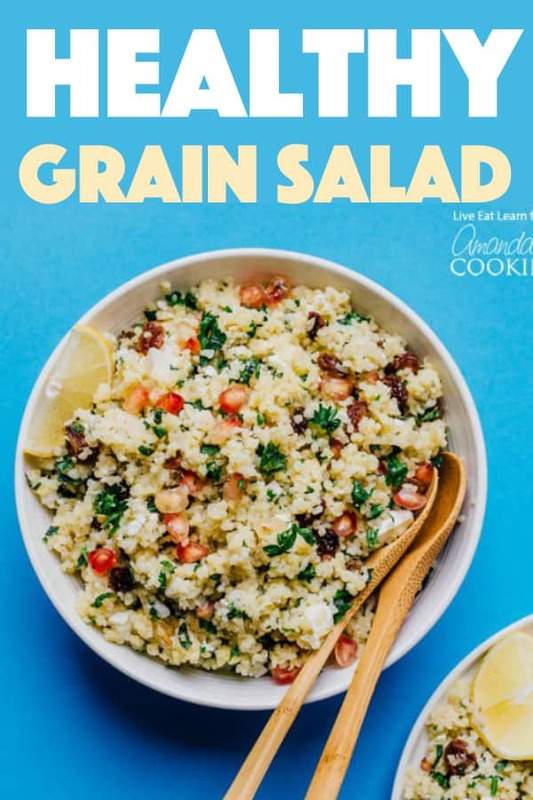 Holiday Grain Salad: this easy salad is perfect for holiday gatherings! 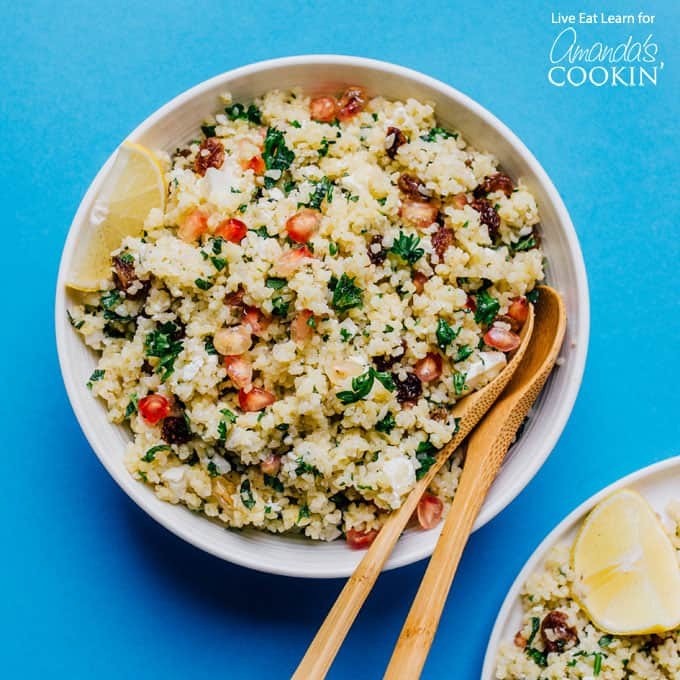 This Easy Grain Salad is packed with whole grains, herbs, and is bursting with juicy pomegranate seeds! Toss it together for a quick and delicious side dish. You know how there are just some ingredients you never cook with? Ingredients that you’ve heard of, you know other people use regularly, but it’s just not in your routine of cooking? For me, that ingredient was bulgur. Was it rice? Was it pasta? I didn’t understand the stuff, and thus didn’t cook with it. 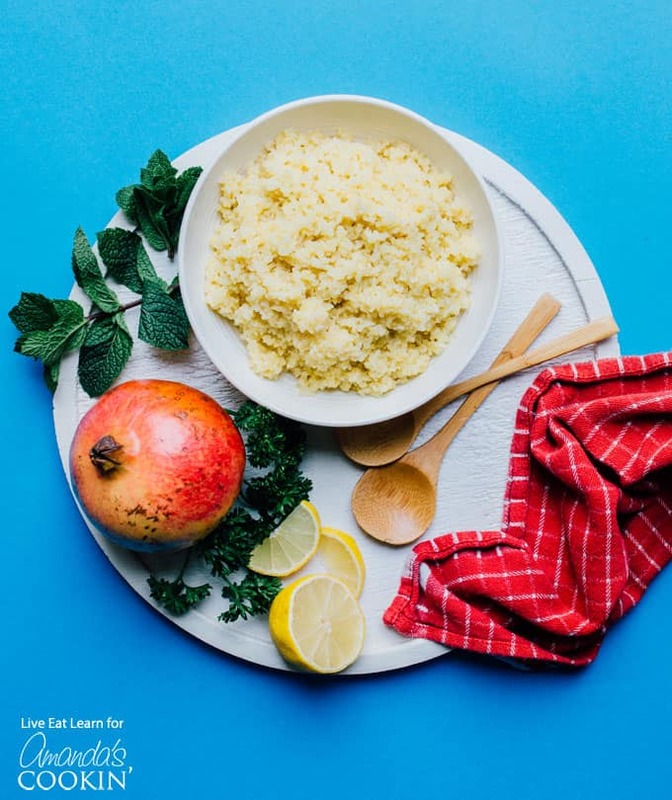 Which is why last year I decided to spotlight bulgur on my blog as a way of learning to cook with it, and the results were so easy and tasty and whole grainy! 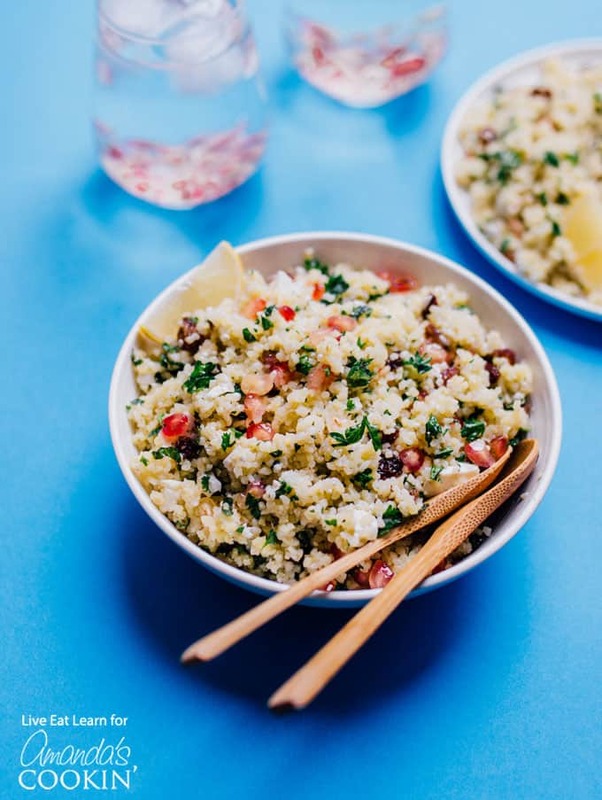 We made a Bulgur Breakfast Bake and Bulgur Falafel, but if there’s one recipe everyone really knows how to use bulgur in, it’s tabbouleh. Tabbouleh is a simple salad of chopped herbs and bulgur, and is the inspiration behind this Easy Holiday Grain Salad! The hardest part of making this salad is probably in boiling the bulgur (i.e. it’s really not that difficult at all!) We’ll cook the bulgur in vegetable broth to give it an extra boost of flavor. 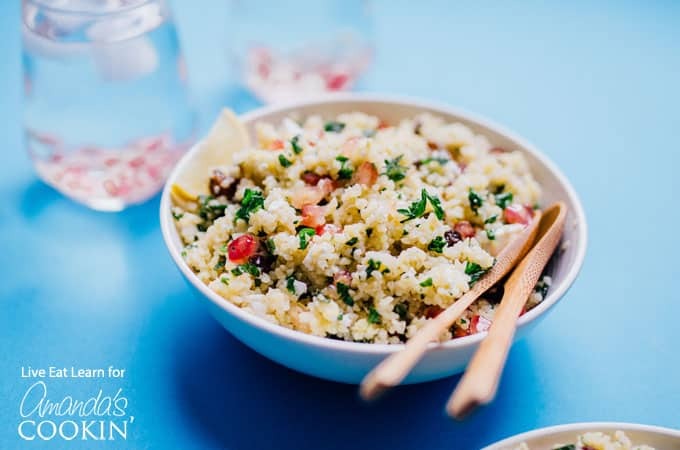 Then just toss together the cooked bulgur with herbs, feta, raisins, and pomegranate. I love how the sharp and creamy feta combines with the sweet raisins and tart pomegranate seeds. 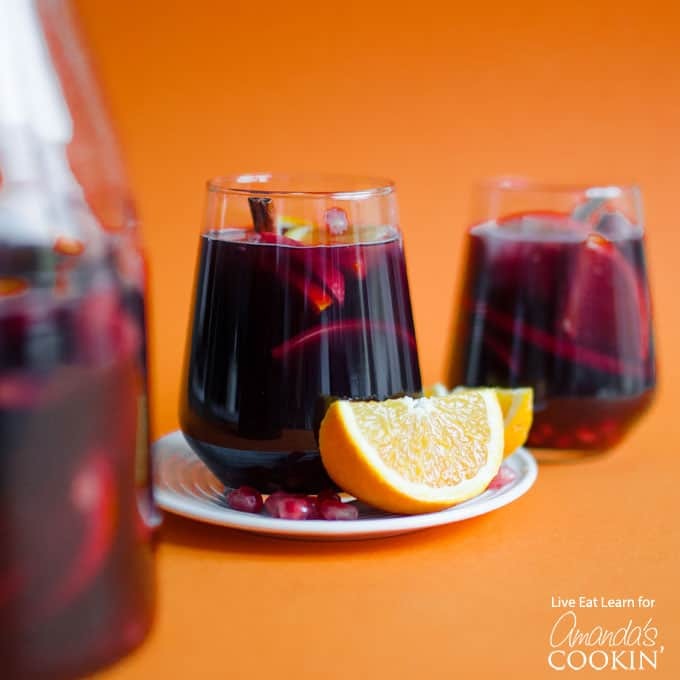 Don’t miss our pomegranate sangria for your holiday party! Loaded with apples, oranges, pomegranate and cinnamon, this holiday cocktail is one to please a crowd! 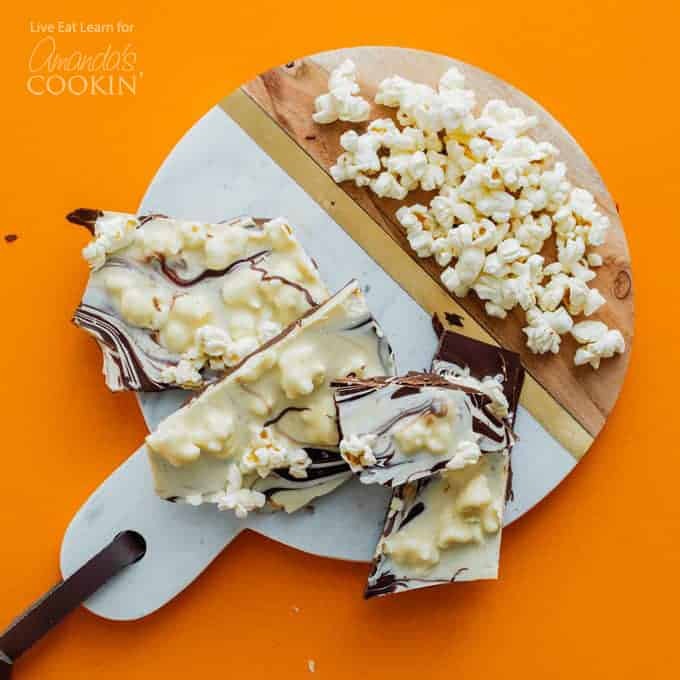 And last but not least, if there’s one unique and delicious gift you should give this holiday season, it’s this Crunchy Popcorn Chocolate Bark wrapped up in a festive container! Happy holidays! Add bulgur and broth to a medium pot. Cover and bring to a boil, then reduce heat to a simmer and cook for 12 to 15 minutes, or until bulgur is tender. Drain off any excess liquid. 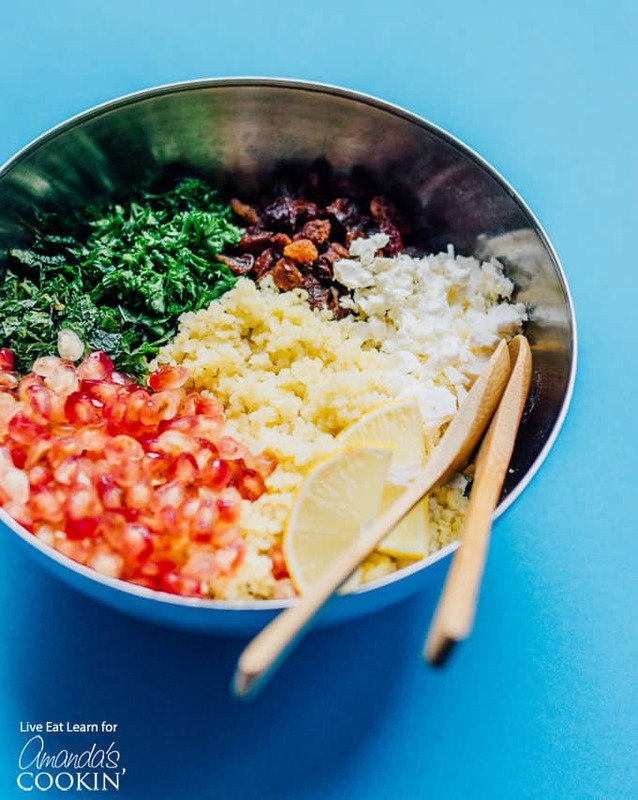 Meanwhile, prepare remaining salad ingredients: chop herbs, seed pomegranate, crumble feta. In a large bowl toss together all ingredients. Serve warm or chilled.